In the past we’ve seen lots of full-sized Lego replica vehicles as Bugatti made a full-sized Lego replica of Bugatti Chiron last year. 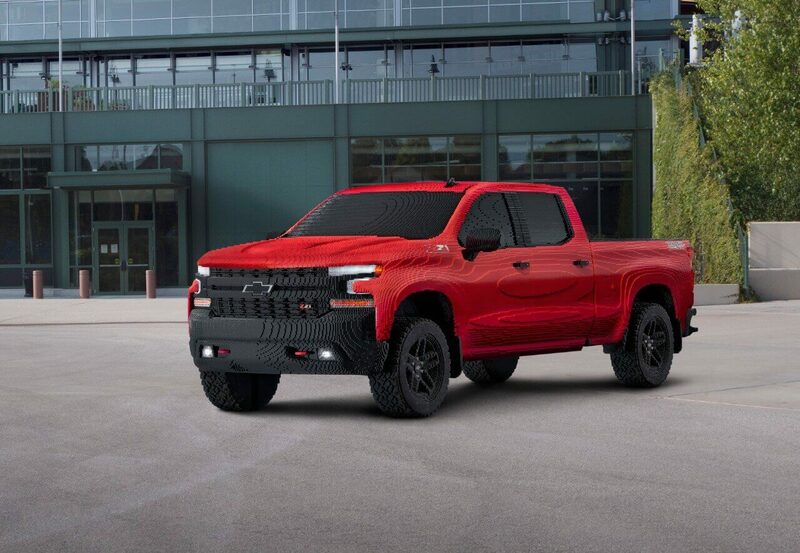 Chevrolet has revealed a 1:1 recreation of its 2019 Silverado 1500 LT Trail Boss To celebrate the upcoming release of The Lego Movie 2.The Lego Silverado continues the partnership between Chevy and Warner Bros. Pictures that began in 2017 with “The Lego Batman Movie” and the Lego Batmobile from Chevy. 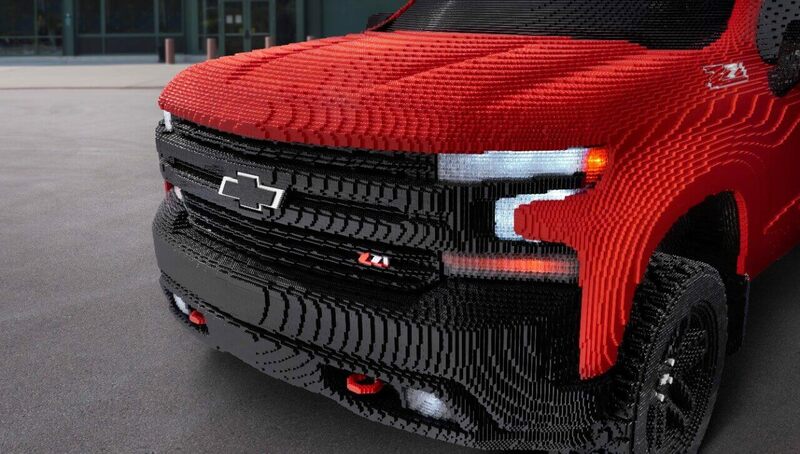 As you see in the video Chevrolet created the truck with the help of students from Oxford Community School and Ralph Waldo Emerson Elementary.Eighteen Lego Master Builders spent more than 2,000 hours putting the 334,544 pieces of the truck together. The Silverado replica is over 6 feet high, 20 feet long, and weighs 3,307 pounds, making it about 1,000 pounds lighter than the real vehicle.It was designed and assembled in the Lego Group’s Model Shop in Enfield, Connecticut. 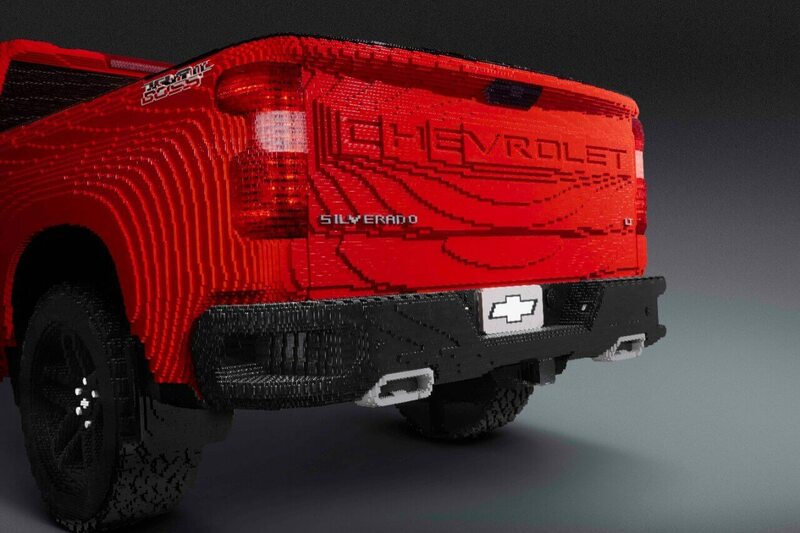 Unlike the life-size Lego Bugatti Chiron from last year,Silverado can't be drive but it has a working headlights.The Lego Silverado will remain on display for the Detroit auto show, according a spokesperson.